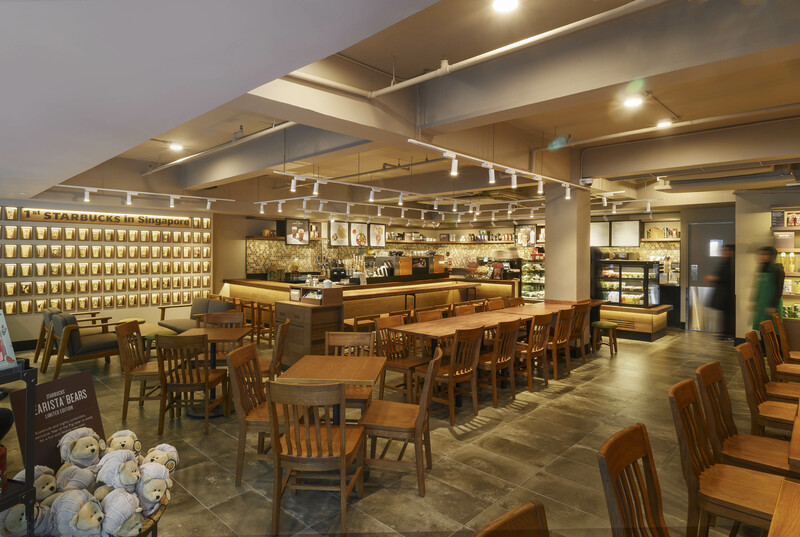 The Starbucks store at Liat Towers, iconic for its basement location and al fresco seating on busy Orchard Road, has reopened after renovations. The newly reopened store now boasts a new seating layout and a coffee bar while retaining the much-adored outdoor patio-style seating. The indoor seating arrangement has been rethought, playing to the theme of an art gallery. The refreshed store features a large art wall, with close to 100 cup art designs created by partners (Starbucks baristas) all over the island. Strategically located along the nation’s renowned Orchard Road shopping belt, Starbucks Liat Towers was one of the few 24-hour cafes available in the area that has been around since 1996. 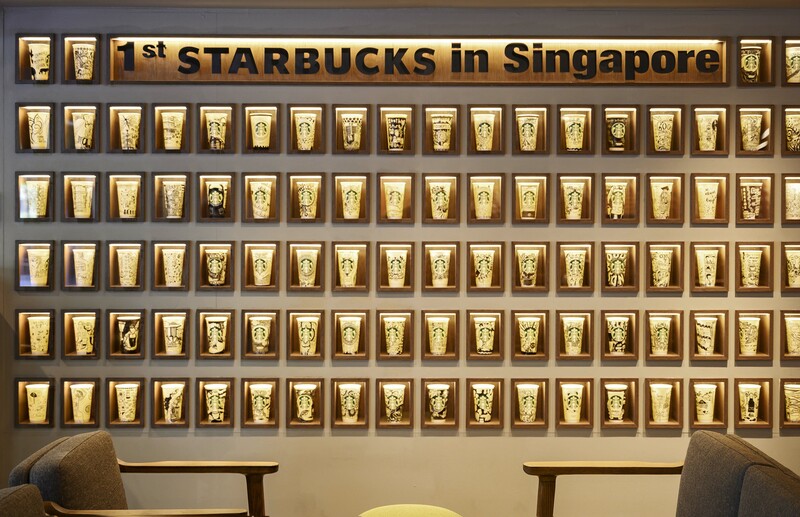 Starbucks first store in Singapore was also a training ground for some of the country’s baristas – most of whom have grown with the coffeehouse and are currently store managers and district managers across the island. Today, Starbucks is the undisputed coffee leader in Singapore’s speciality coffeehouse sector and a significant part of the daily coffee ritual for more than 300,000 customers every week. With 23 years of Singapore history, the Liat Towers store has regulars who have patronized the store since its opening and visit every day, and who count the partners family. From morning chats to late night study sessions, and that much needed mid-week feel good coffee cravings, Starbucks and its many localized initiatives has carved a special spot in the hearts of Singaporeans. In Singapore, Starbucks has made special effort to make every Starbucks store a part of its community. 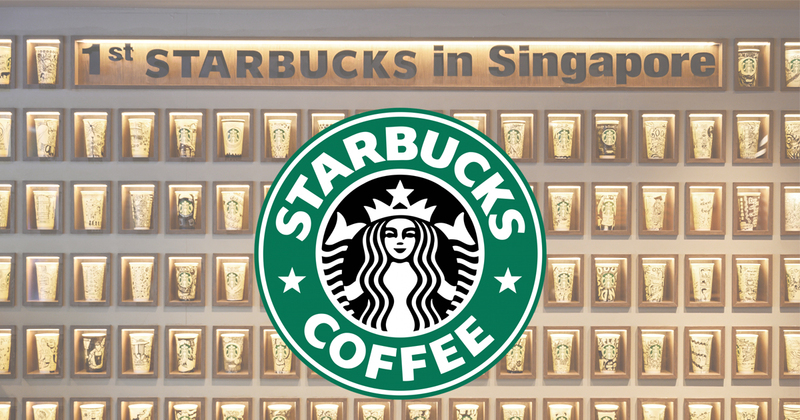 The time and heritage of the brand’s time in Singapore shines through its continual redesign of the customer retail and F&B experience, and Starbucks at Liat Towers is no different. Other such stores customers can find heritage influences include the Aperia Mall store, featuring gasworks-inspired interiors as a nod to the location’s history, and the I12 Katong store, which features Peranakan textiles and tile designs. Concept stores include the newly-opened Tampines Mall store, a double-storey standalone with glass walls. In recent times, the brand has also rolled out Starbucks Reserve in select stores, offering handcrafted signature espresso beverages and differentiated interactive experience for coffee enthusiasts.